Published November 17, 2018 Disclosure: We may receive compensation if you sign up for or purchase products linked to below. We try our best to provide the most accurate information, but details do change. Please refer to the company website for the most up-to-date information on any lead or recommendation. With many companies looking to best serve their customers, around the clock, it’s no wonder customer care is one of the most popular work-at-home industries. Week after week, these are some of the most plentiful remote job listings we find. And many of my readers begin their remote career in the customer service industry. Because this industry makes up such a large sector of my readers, I wanted to put together a special list of gift ideas for Work-at-Home Customer Service Reps whether you are shopping for a loved one or yourself this holiday season. Working from home is great for most of us. We get the flexibility to work around the schedules of our family, and of course we don’t need to worry about much of a commute. One of the unfortunate side-effects however is the lack of sunlight that the average work-at-home individual struggles with. There’s no need to commute, there’s no need to go out for lunch. Seasonal Affective Disorders (SAD) can become an unfortunate reality for many, particularly if they work the overnight shift to ensure customers get 24/7 support. This light energy lamp offers bright white light therapy, and can be adjusted to provide just the right intensity for each person. Light therapy offers so many great benefits, including helping with SAD, and helping to reset the circadian rhythm of a person who may have to work odd hours around the clock. Keeping an organized and tidy work space is one of the essentials to working from home successfully. With monitors, telephone systems, and computer cords, even the most organized of work spaces can quickly become cluttered. This cord organizer set is a thoughtful stocking stuffer that will help to keep cords lined up nearly, bundled tidily, and out of the way to ensure that nothing gets tangled or tripped on. Got a coffee aficionado in your life? If there’s one essential that the work-at-home customer service rep needs, it’s coffee! A coffee subscription can introduce them to some great new roasts, and offer that caffeine boost needed to get through those long work days. This subscription is a great thoughtful choice, and offers 4oz bags of whole bean coffee to be grinded, brewed, and enjoyed at home. Other little treats are often included, to make this a fun surprise for the recipient to get every month. After a long day at work it’s sometimes hard to be creative in the kitchen. The work-at-home customer service rep might find it a challenge to find the time to pop out to the grocery store. A dinner subscription is a great solution for the busy person who may not necessarily be able to get healthy meals on the go every night. 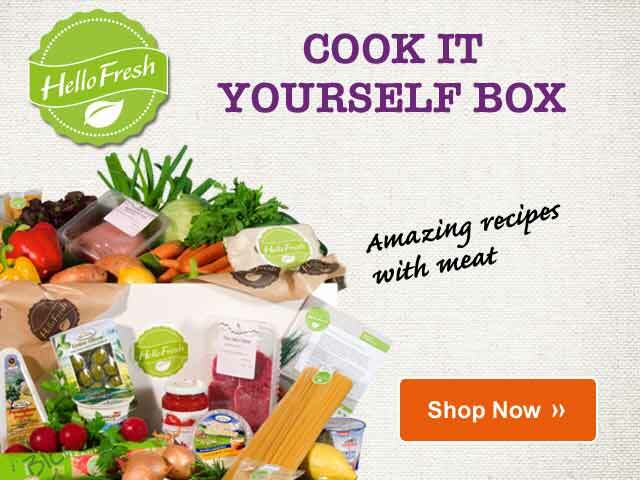 Hello Fresh deliveries bring to your doorstep some great delicious fresh ingredients, and provide an easy-to-follow recipe that will ensure a delicious dinner with each and every meal. The subscriptions can be readily customized for the size of the family, and can even be exclusively veggies. Save $60! Get $20 Off of Your First 3 Orders with Code GETFRESH60! Effective time management is an essential part of being an organized work-at-home employee. And I prefer those planners that include time blocks for those who have to commit to a schedule. We all know you can't be a minute late around here! This great time block planner helps the busy person on the go to take notes, schedule appointments and customer follow-ups, and of course just generally keep his or her life on track. This planner is durable enough to stand up to the daily use it’ll receive, and offers plenty of pages for perfect scheduling. This handy planner lays flat when it’s in use, so it’s ultra-comfortable and easy to use. The size of the planner makes it easy to slip into a work bag or purse, so there are no reasons to not be organized when on the go. Scheduling out a work week can help the work-at-home customer service rep keep up with his or her appointments and customer follow-ups. This dry-erase board allows for the easy scheduling out of a busy month. This is a must-have for the busy work-at-home customer service rep who needs to keep up with team meetings, follow-up appointments and calls, and of course who also needs to keep up with family and other personal appointments. It affixes easily to the wall, and is easily wiped clean. Taking calls, troubleshooting customer concerns, many of the interactions with customers require talking one-on-one with the customer. The right headset can make a work of difference for the work-at-home customer service rep. This one features a noise-cancelling microphone; because, let’s face it, sometimes our homes are not that peaceful during the day. Noise cancelling features allow the customer service rep to provide the best and most focused attention to the customer on the other end of the line. In addition, these headphones offer comfort features so that any discomfort can be minimized. Wearing a headset all day, every day, can be uncomfortable. So it’s important that the right headset is worn. This is a thoughtful gift choice, and is sure to be appreciated. Even working from home doesn’t guarantee a spotless home, unfortunately. One of the downsides to working at home is that you do have to actually work, and can’t spend your days keeping up with sweeping and mopping, and keeping your home looking spotless year-round. Gifting your work-at-home customer service rep family member or friend with a deep cleaning for their home is a great way to show just how much you care. This is especially important as the holidays approach, and our homes are filled with guests who want to celebrate the season with us. This is a thoughtful gift that provides that deep cleaning, done by background-checked cleaning professionals. Save 30% On Your First Handy Booking! Home Cleaning Plans Only. Use Code AFFSAVE30. Encourage your family member or friend to keep up with his or her hydration, with an insulated stainless steel bottle that’ll keep cool drinks chilled for up to 24 hours. Hot drinks can stay warm for up to 6 hours. This is a great gift idea for any person who works hard behind a desk and may not necessarily be able to take those quick breaks to hydrate or heat up coffee while helping customers with challenging situations. The stainless steel bottle offers a wide-mouth straw lid for ease of sipping, and is offered in a range of sizes to suit the needs of the thirsty at-home-worker.